NYFW: Day 2 Outfit and Shows! After a long (but awesome) Day 1 at NYFW, I was going to sleep in on Day 2 because my first show wasn't until noon, when I get a text from Kali (a.ka. my fairy NYFW Godmother) telling me she had an extra ticket to Taoray Wang down at Spring Studios and if I wanted to come. Still half-asleep, I'm like heck yes, and then I realized, oh shoot I have to get ready and oh shoot which outfit am I wearing for Day 2?! You see another thing I learned about Fashion Week is that opportunities pop up and/or plans change so quickly! My cousin made me a cup of Nescafe (which I almost had to chug) and I ate half a bagel (no time to eat the whole bagel) and off I went! Quick details about the outfit: I had taken two other outfit choices for Day 2, but in the moment I went with this dress because it was a statement on its own. I ended up getting there a little earlier than expected, but as I was waiting I saw the Fashion Director of Neiman Marcus Ken Downing (the one who dictates these trend reports I always report on), Aimee Song and Camila Coelho pass by me as they exited the Self-Portrait show. On the inside I was fan-girling, but kept my cool because I didn't want to break my rookie cover. Tangent: I realized later that everyone acts so cool around celebrities within NYFW events and not give them much attention (and honestly, I loved that!) I had all sorts of Real Housewives (like Danielle Staub), actresses (like Amanda Fuller from Orange is the New Black) and even the backpack kid standing in front of me for like 10 minutes while I waited for my ride and I just stood there minding my own business. 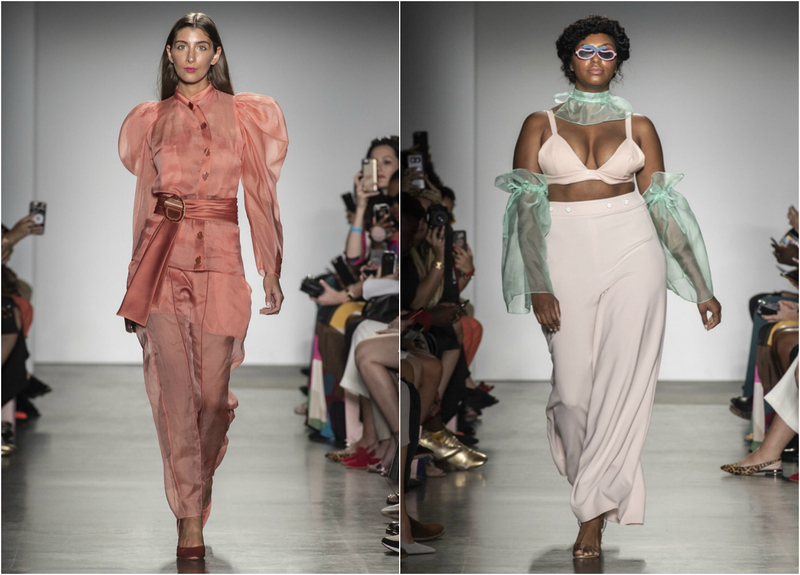 The Taoray Wang Spring/Summer 2019 collection was titled "Bloom" which was exemplified with the pops of pinks, blues and yellows among the monochromatic and highly structured pieces. The collection mixed feminine and masculine details like the re-imagined the power suit. 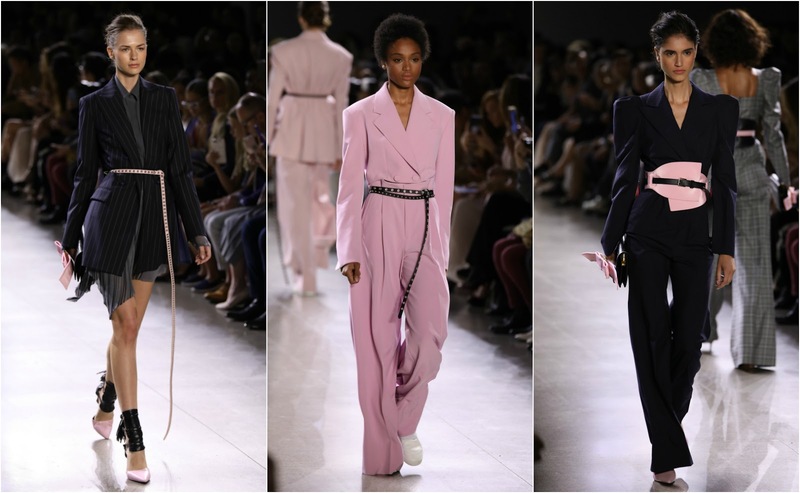 For me this collection had me at suits and it had me at pink, but when not one, but a few, pink ah-mazing suits came down the runway I was all in! A notable trend that I not only saw a lot on this runway, but also out in street style are statement belts that cinching at the waist of lose clothing. After the Taoray Wang show, I hung out at the Spring Studios Lobby once again and since it was less packed I was able to get myself a complimentary coffee at the Papyrus lounge and get a few pics at the TRESemmé® lounge. 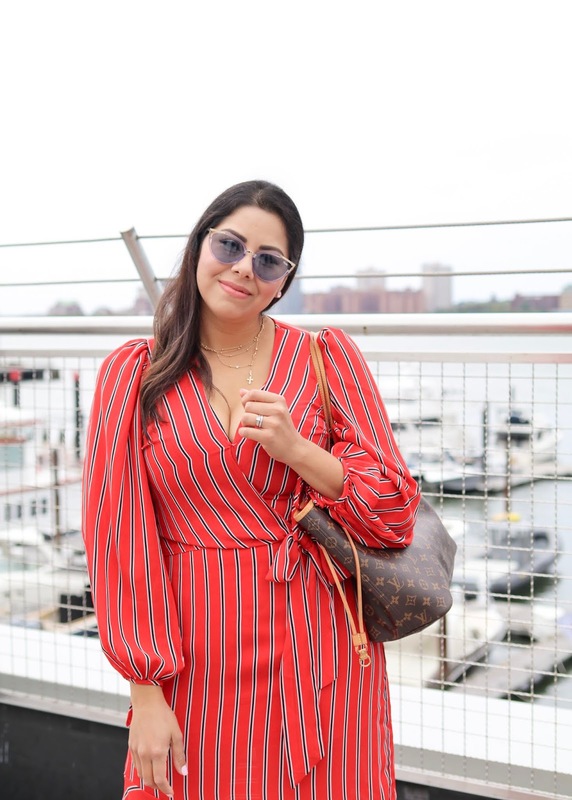 I then headed back to my cousins apartment so we could all go together to the next show at Pier 59 Studios over at Chelsea Piers. The next show was Oxford Fashion Studio (Part II out of III), a collective fashion show of 5 fashion designers who all had a distinct design aesthetic. This jewelry collection was showcased on the runway beautifully styled models. Her pieces made a statement without being too over the top. A collection of crocheted pieces with a 70's flare. 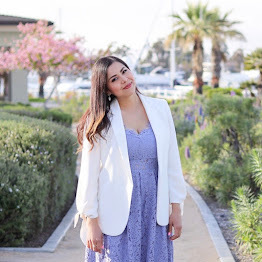 From dresses to playsuits, to jumpsuits, it was def crochet all day! An futuristic-looking collection featuring pieces using unconventional materials that looked like silicone or plastic. Most pieces were meant to be swimwear but this finale piece highlighted her skills. From Left to Right: Caroline Perino, C'est D.
An avant garde collection with great craftsmanship showcased on both men and women. The details resembled that of galaxies or geodes. 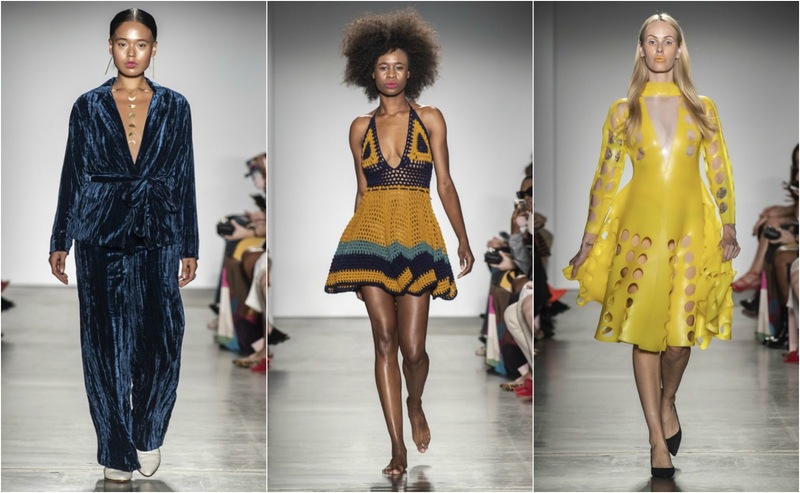 A collection titled "Fatopia", it not only celebrated all shapes, but also creativity when it came to the clothing as pastels and unique pieces graced the runway. Post-show we headed back to my cousins place and I had my photo shoot with Tuy. Thank goodness we shot my next day's look too because as I will mention in my Day 3 Diary, it rained allllll day on Sunday and had I waited I probably wouldn't have gotten any more pictures! 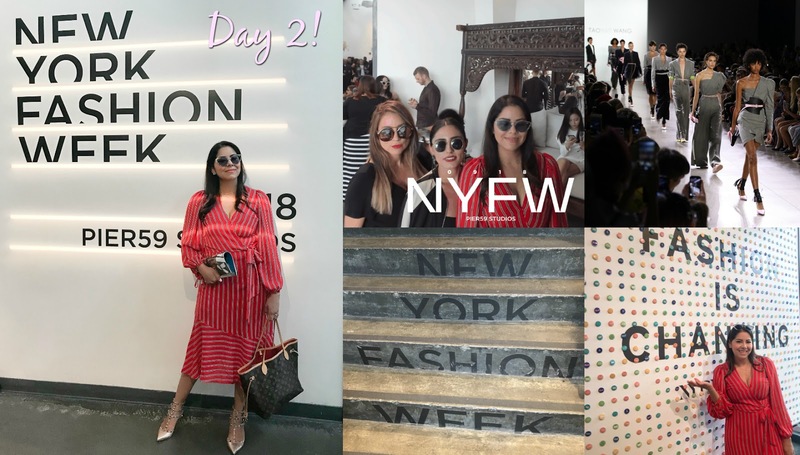 Stay tuned for my NYFW Day 3 Diary and also what we did "off-duty" in NYC! What a fantastic experience. And I love what you wore! 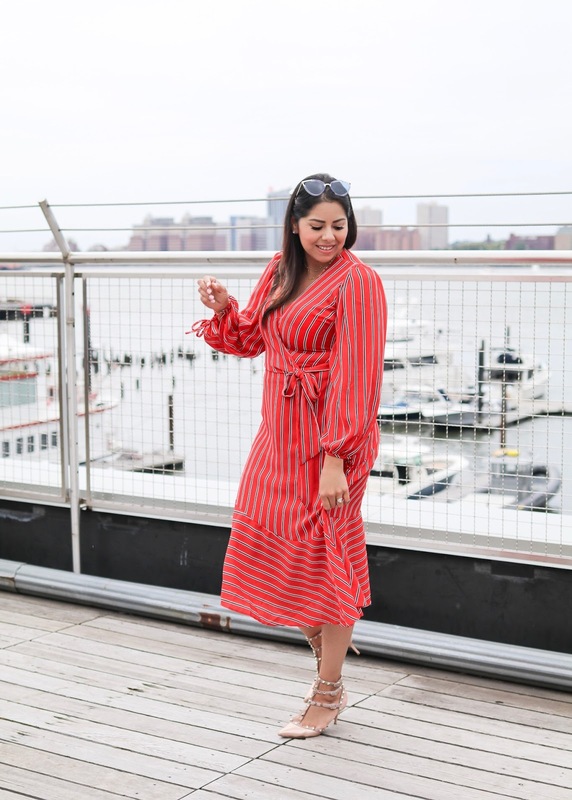 LOVE this bold red dress! So pretty! And I love all of the different styles from Day 2 - crochet, jewelry, avant garde - so fun to see! NYFW: Day 3 Outfit and Shows!